Matcha Usucha TAKAMINE BIO "High Mountain"
Matcha of the highest, ceremonial grade quality, with BIO certificate, made from the leaves of tea bushes not older than 30 years, growing in the Japanese Kinki region in central-southern part of Honsiu island. Creamy tea can be made even with a little amount of the tea powder. 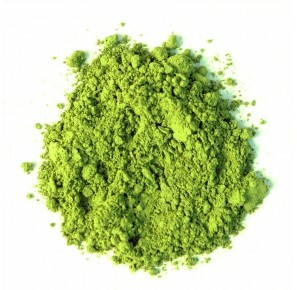 Made from highest quality green tea leaves, ground into bright emerald powder. Gives off an infusion of intensive color and dignified taste. Before harvesting, the tea bushes are shaded in order to activate chlorophyll production within the leaves, giving the matcha tea unique nutritional and medicinal values. It is also worth mentioning, that with a powdered tea we consume not only its infusion, but the whole leaves as well. Pour half a teaspoon of matcha (ca. 2g) into a bowl. Add 75ml. of boiled water, at the temperature of ca. 60°C - 80°C, depending on personal tastes. Beat with a bamboo whisk until foam appears. Before brewing the tea, sifting it through a tea strainer is recommended. 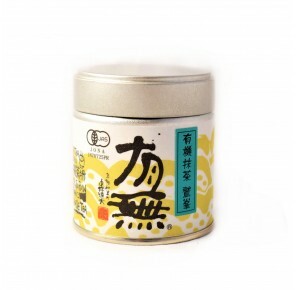 For over a thousand years, green tea has had an important place in Chinese traditional medicine - it is believed that green tea consumption cools down and hydrates the body, so it is especially recommended during Summer days. Due to its refreshing and invigorating properties (it contains more theine than black tea) some of the Asian peoples recommend drinking it only up to afternoon hours. The Chinese use it to cure sluggishness, poor digestion, headaches, poor (blurry) sight, alcohol poisoning and stomach upset. Eases concentration, improves memory, clears the mind (due to the presence of caffeine, known as theine, which has an invigorating effect, but in contrast to caffeine contained in coffee, its effects are not instant, but long-lasting. People suffering from insomnia, nervousness or having a fragile stomach should not drink excessive amounts of tea. Patients with stomach ulcer should avoid drinking green tea, as it increases the production of digestive juices. Green tea should not be drank together with medicine!